Glasgow looks both forwards and backwards. There is space in this city for the living and the dead. 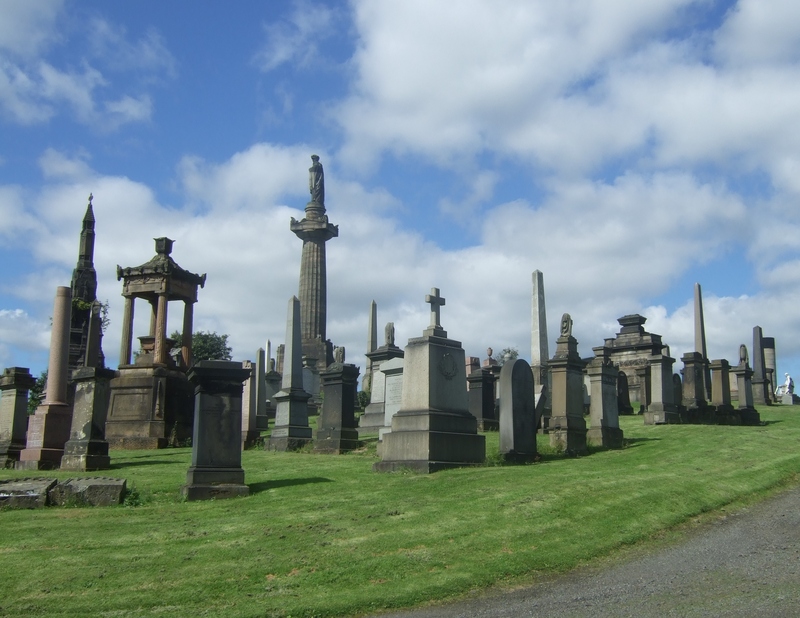 The Necropolis, a hillside graveyard with huge mausoleums and rows of granite headstones, glowers over the busy cathedral and the Royal Infirmary. At the end of each day, everyone leaves the cathedral. Everyone hopes to leave the Infirmary. 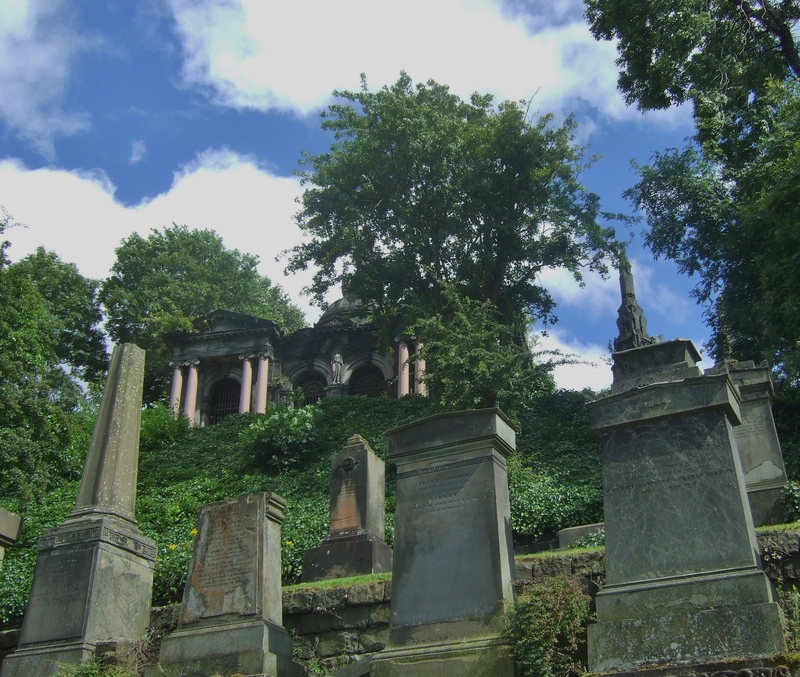 But the inhabitants of the Necropolis remain; a permanent feature of Glasgow’s unusual landscape. The shadow of the past is present in the rest of the city too, but increasingly in a positive and productive way. Tourism is booming. The city’s shipbuilding and transport history provide much of the focus and infrastructure for striking new developments along the River Clyde. Its unique social and artistic heritage fills fascinating city museums and galleries. 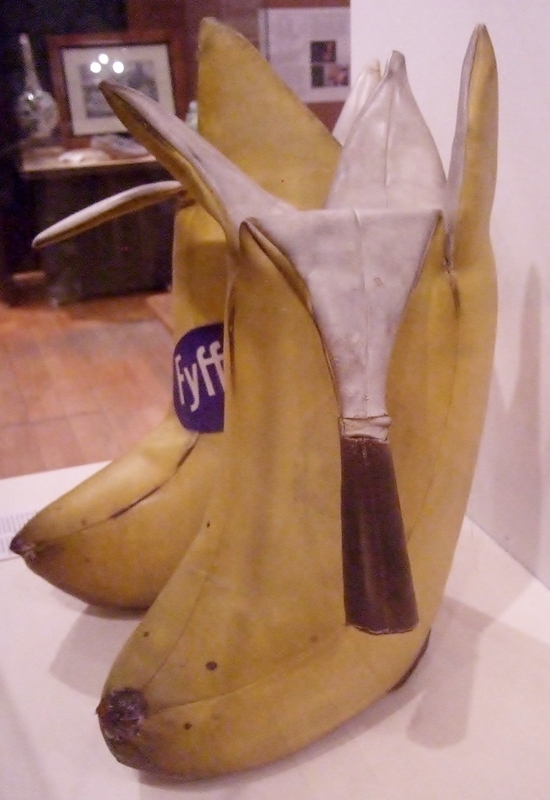 The People’s Palace is a beautiful building housing a collection that brings the social history of Glasgow alive, from displays of life in the slum tenements to the bright yellow banana boots that Billy Connolly wore on the tour that made him famous. 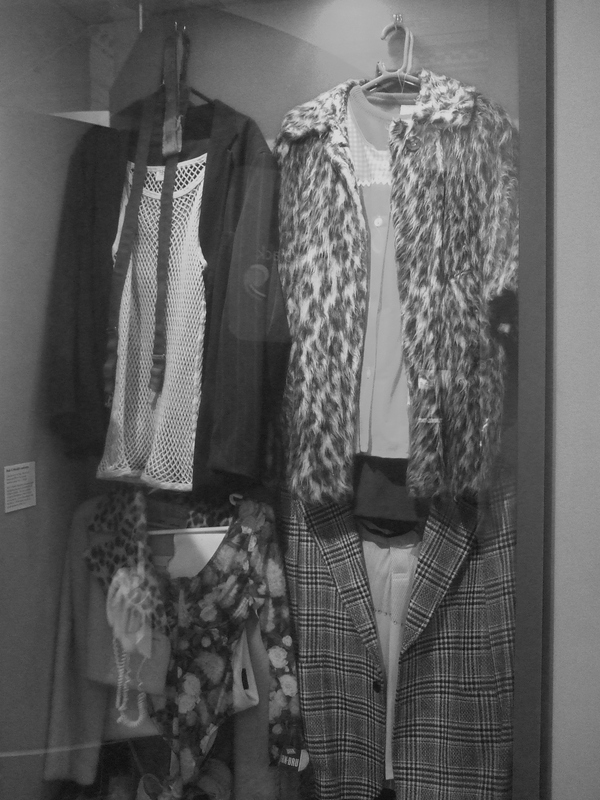 A disreputable string vest and other costumes from the TV series Rab C Nesbitt are also here, reminders of the image many hold of a typical ‘Weegie’. Some of the old blights on Glasgow do endure. Much of the city centre has already been gentrified but plenty of substandard housing still exists. Outside the centre the stark blocks of Easterhouse and other estates remain, sitting on the hills too far away, marooned. Social programs are making headway against poverty and other issues in these areas and some blocks have been demolished, but many remain – architectural reminders of an era that got it very, very wrong. 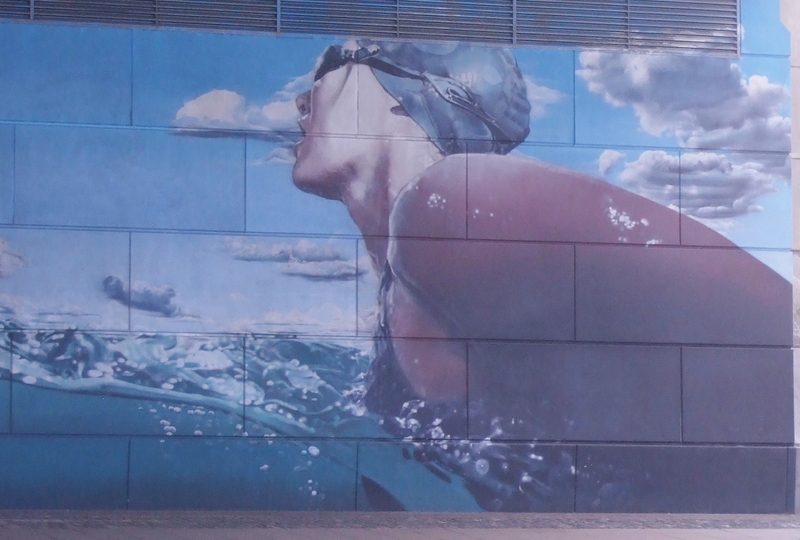 Many buildings in the city centre are striking, however, and there is some vibrant street art. Glasgow has frequently and not entirely unfairly been a byword for poor diet. I passed Gregg’s, (one of many) and saw a man in a tracksuit inside, spread-eagled and out cold on the floor, surrounded by paramedics. Too many sausage rolls will do that to you, it’s true. Fish and chip shops abound and you can also, if you must, sample a clichéd and semi-mythological deep-fried Mars Bar although I suspect that alcohol was more a factor than pastry in this particular collapse. Violence is also a recurring theme in Glasgow’s image. Coming round the corner of Jamaica Street early one morning I followed an alarming fresh blood trail that ended at the entrance to a multi-storey car park. Slumped against a wall was another track-suited figure – a younger man this time, maybe 16 or 17. His face was comprehensively smashed but when I asked if he needed help, he declined. It was hard to tell exactly what he was saying through strong accent and nasal blood bubbling, but it was something along the lines of “I deserved it/The blood will stop in a bit/I’ve had worse/Careful, don’t get blood on your coat/It’s very nice by the way.” He honestly seemed perfectly cheerful. Good humour is a Glasgow stereotype related to the Edinburgh vs Glasgow rivalry and in my experience it’s quite true. 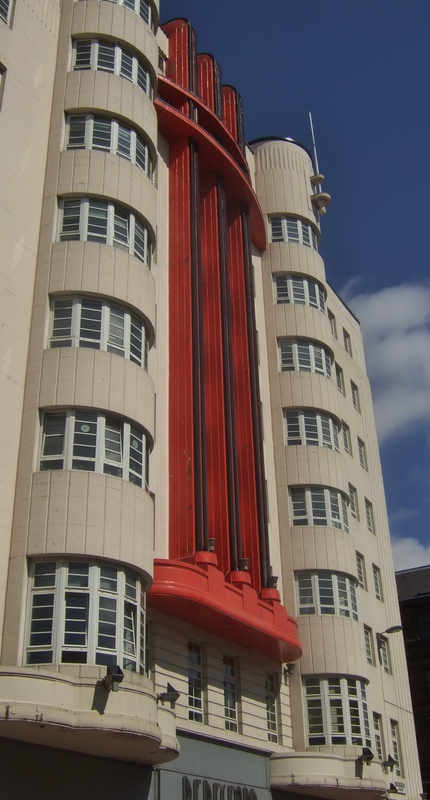 Atmosphere in any city is often related to the attitude of its population, and Glasgow’s friendliness is an invaluable asset to a city looking to increase tourism. And increasing it is. A 1950’s plan to knock down many Victorian buildings was thankfully thwarted and architecture is a major draw here. It is impossible to look up without seeing something of note. The West End area, home to Kelvingrove Park and Glasgow University, is the place to go to experience gothic architecture, beautiful scenery and one of the best free tourist attractions in Scotland, inside and out, in the outstanding Kelvingrove Art Gallery and Museum. The West End also contains many cafes, bars and restaurants with exciting menus that put mention of deep fried confectionery to flight. 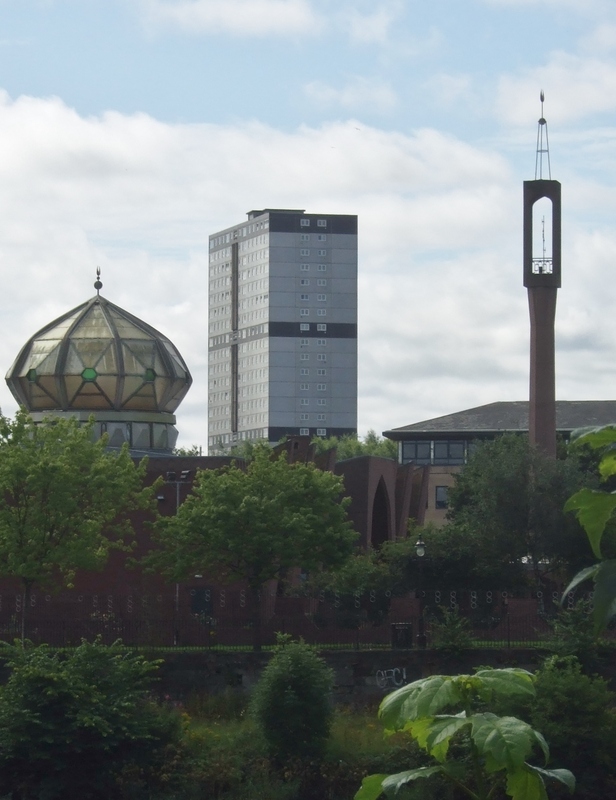 The East End is perhaps more representative of the distinctive nature of Glasgow, however. 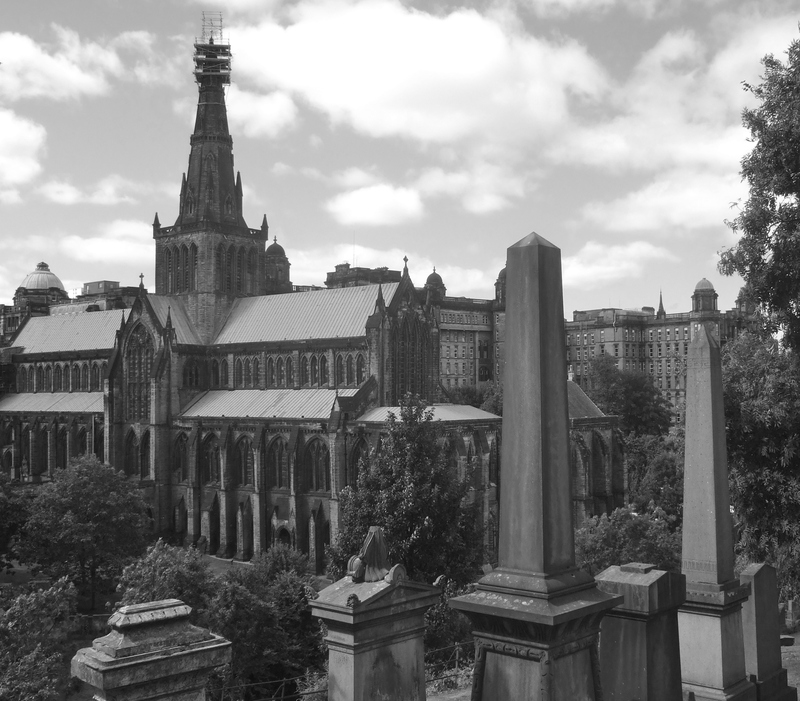 The Barras market, Glasgow Green and the Winter Gardens are all worth a wander, but the real world beater is that triumvirate of medieval Glasgow Cathedral, monolithic Royal Infirmary and gothic Necropolis. 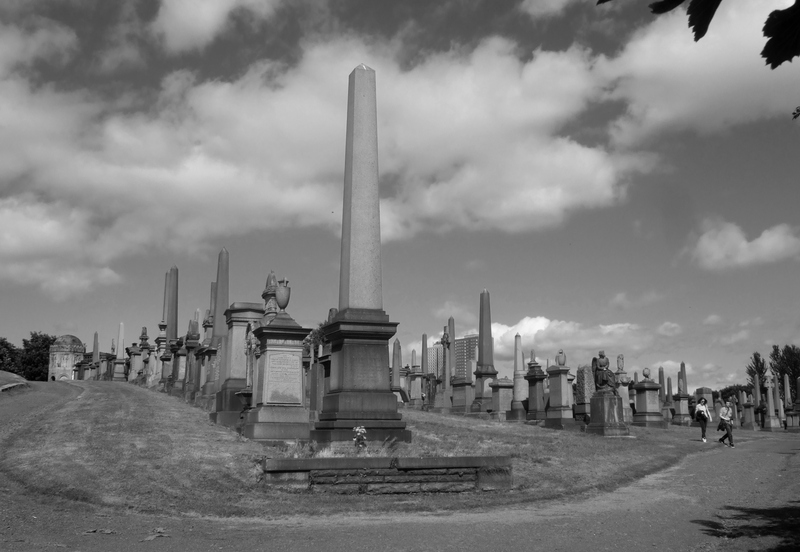 All great cities embrace old and new, death as well as life, but few manage it in quite such a unified way as Glasgow.